The activity of the thyroid gland is stimulated by food availability via leptin-induced TRH/TSH expression. Here we show that food availability also stimulates thyroid hormone activation by accelerating conversion of T4-to- T3 via type 2 deiodinase (D2) in mouse skeletal muscle and in a cell model transitioning from 0.1 to 10% FBS. The underlying mechanism is transcriptional de-repression of DIO2 through the mTORC2 pathway as defined in rictor knock down cells. In cells kept in 0.1% FBS there is DIO2 inhibition via FOXO1 binding to DIO2 promoter. Repression of DIO2 by FOXO1 was confirmed using its specific inhibitor AS1842856 or adenoviral infection of constitutively active FOXO1. ChIP studies indicate that 4h after 10% FBS-containing media FOXO1 binding markedly decreases and DIO2 promoter is activated. 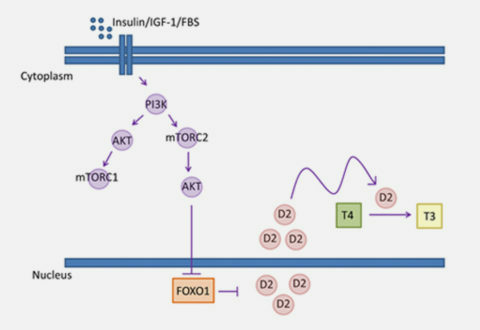 Studies in the insulin-receptor FOXO1 KO mouse indicate that insulin is a key signaling molecule in this process. 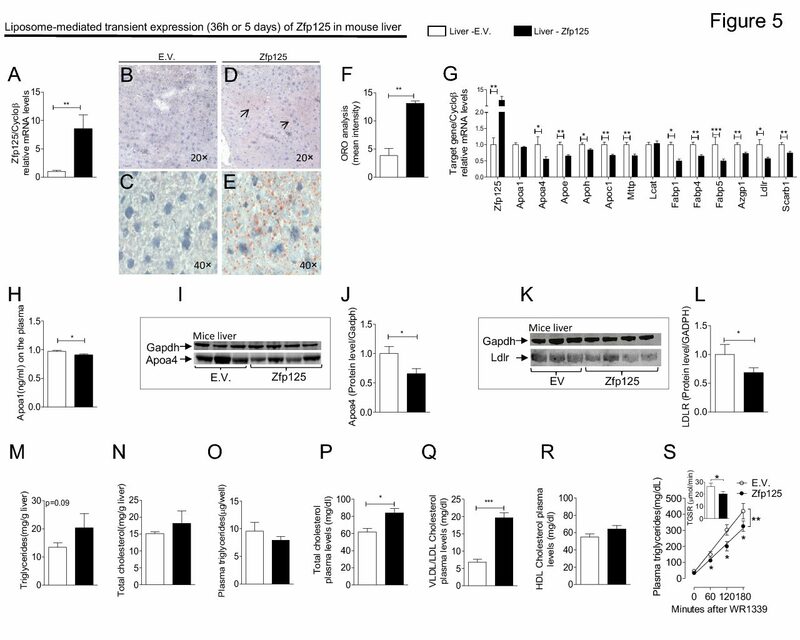 We conclude that FOXO1 represses DIO2 during fasting and de-repression occurs via nutritional activation of the PI3K- mTORC2-Akt pathway. Coupling between nutrient availability and thyroid hormone activation.